Don’t post personal info, narrow who can see your posts and avoid posting real-time updates about your whereabouts. Understanding why your medications are so costly doesn’t solve the problem for you. You still need the prescription drugs you do and still have limited money to spend on them. 1. Ask about generics or other alternatives. As I-MAK’s research emphasizes, some of the prescription drugs you need simply won’t have generic options available. But many types of drugs do, and doctors don’t always think to mention the generic options when writing out a prescription. So be proactive about asking. Even when a generic option isn’t available for a specific medication, you may be able to start by trying a different, more affordable drug that treats the same thing. Ask your doctor to go over all of your options so you can make a more informed decision. 2. Get the right Medicare plan. Do your research to figure out the different Medicare prescription plans available in your area. Specifically, ask providers which of the prescriptions your doctor recommends they cover and how much they cost. Just because a plan covers a particular drug doesn’t mean that makes it affordable. Enbrel, an arthritis drug included in I-MAK’s report about over-patenting, still typically costs over $1,000 for patients with various Medicare prescription plans. Nonetheless, the right Medicare plan can potentially save you a lot of money on the main drugs you need. 3. Look for coupons and discounts. Pharmacy discount cards and coupon sites can save you up to 80% on the cost of prescription drugs. Some pharmacies also have their own discount programs that can help you bring medication costs down as well. Do some research into available coupons and discounts for your medication and ask your pharmacist about any recommendations they have. 4. Look into assistance programs. Both drug companies and government entities sometimes provide assistance programs to help seniors out with the cost of their medications. Check the prescription drug provider’s website to see if they offer any assistance programs. Healthfinder.gov and NeedyMeds both offer resources for helping you find relevant programs you may qualify for. Prescription drug prices are both a big problem for individuals struggling to make ends meet and a larger societal problem that’s bad for the U.S. In addition to looking for ways to make your own drugs more affordable, consider how you can help be a part of the bigger solution. When you settle in to do your taxes this year — or sit down to talk to your accountant — you may be in for some surprises. The reason: This is the first year you’ll see the full effects of the sweeping tax reform bill that passed in late 2017. 1. Chances are slim that you’ll itemize deductions. The standard tax deduction filers could claim has nearly doubled its previous amount, so it is now $12,000 for single filers and $24,000 for married couples filing jointly. Plus, if you’re 65 or older and married, you can tack another $1,300 onto the standard deduction; as a single filer 65 or older, add $1,600. At the same time, many itemized deductions have been eliminated or reduced. Most notably, the total deduction for state and local income and real estate taxes is capped at $10,000 (for singles and married couples filing jointly). These changes could lead an estimated 90 percent of filers to take the standard deduction this year, up from the typical 70 percent, according to the Tax Policy Center. 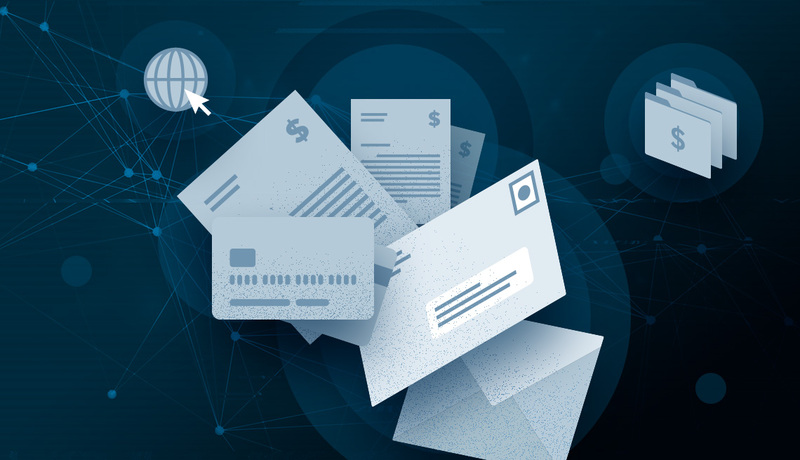 For many people, this switch will mean less time digging up receipts and poring over bank and credit card statements to capture every single tiny deduction. “It’ll be easier to figure out if you have to itemize,” says Patrick Daly, a CPA at the New York City accounting firm Citrin Cooperman. “Add up your charitable giving, mortgage interest and state and local taxes, and call it a day.” If that total is less than your standard deduction would be, chances are you can skip itemizing (one exception: if you have high medical expenses — see No. 4 below). Keep in mind that some states let you itemize deductions when you file your state taxes even if you take the standard deduction on your federal return. States also may have different rules for what’s still deductible, so check. 2. Your tax bill might change for the better. The tax law cut income tax rates through 2025. The top rate for the highest earners — what single filers would owe on taxable income over $300,000, or $600,000 for married couples filing jointly—went from 39.6 percent to 37 percent, for example, and the 28 percent tax bracket — for incomes between $82,500 and $157,500 for singles and $165,000 and $315,000 for marrieds filing jointly — is now 24 percent, and so on. Those changes are expected to lower tax bills for a majority of filers. Last winter, the IRS issued new withholding guidelines for employers, putting more money into the paychecks of millions of Americans. Still, other changes to the tax law may complicate that picture. 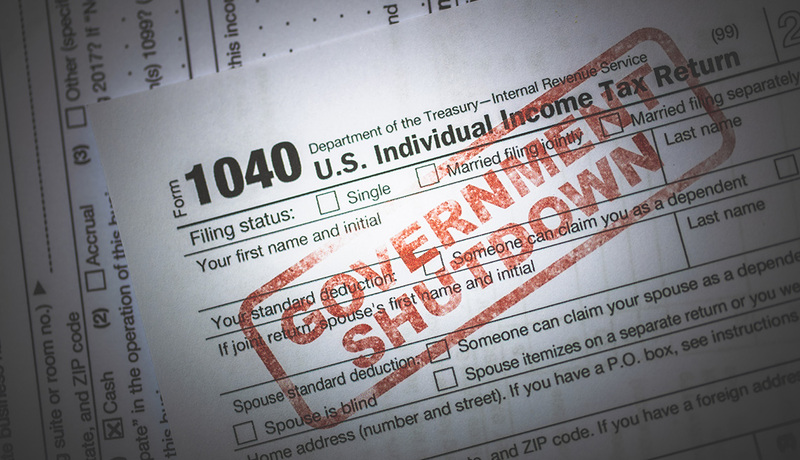 While you’ll see a much higher standard deduction, you’ll no longer enjoy personal exemptions, which were worth $4,050 a person last year, a hit to big families who were entitled to an exemption for mom, dad and every dependent child. The cap on deductions for state and local taxes could lead to a higher tax bill for residents of states with high income taxes such as California, New Jersey, New York and Hawaii. 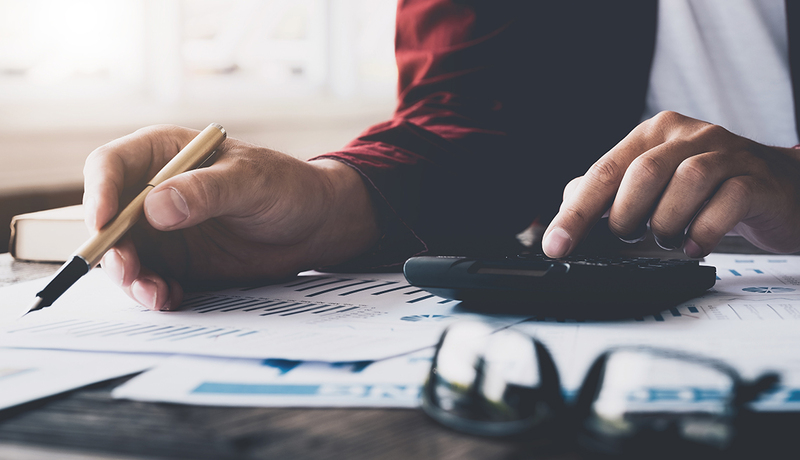 What’s more, the shifting income cutoffs that determine your tax bracket have left a few higher-income earners facing higher tax rates, says Cari Weston, director of tax practice and ethics for the American Institute of Certified Public Accountants. For example, single filers with taxable incomes between $157,500 and $200,000 will be in the 32 percent tax bracket, up from 28 percent. This filing season, your likelihood of getting a refund — and the size of that refund — is more uncertain than normal. Some experts are predicting larger refunds overall, but not everyone should celebrate yet. Even if you did adjust the withholding from your paychecks after the new tax law took effect, that change might not have been enough to account for lost deductions or outside income. “There are going to be more people who are caught off guard,” says Weston. Because of the uncertainty due to the new tax law, the IRS recently softened the rules for when you’ll owe an underpayment penalty if you didn’t have enough money withheld or paid via estimated taxes. 3. The tax forms are sporting a new look. Remember the much-hyped “tax return on a postcard” proposal? Forms 1040A and 1040EZ are gone, and Form 1040 has been redesigned so that it fits on two half pages. 4. You have a better shot at deducting medical expenses. Thanks to tax reform, you can deduct unreimbursed medical expenses that exceed 7.5 percent of your adjusted gross income for at least one more year. That threshold can be a high bar to meet, but it will go up to 10 percent for 2019 taxes. For those shouldering nursing home expenses or other high medical costs, this deduction will be more accessible and valuable in your 2018 taxes. “If you have a bad medical year, this is a helpful way to help pay for it,” says Ashcraft. 5. You get a bigger break for the people you support. Tax reform increased the maximum child tax credit (available for children under the age of 17) from $1,000 to $2,000 and also made it possible for some filers with higher incomes to claim this credit. Credits such as this one can be especially valuable because they cut your tax bill dollar for dollar. A deduction, on the other hand, just reduces the amount of income that’s taxed. For example, a $2,000 credit saves you $2,000 in taxes, while if you’re in the 24 percent tax bracket, say, a $2,000 deduction only cuts your tax bill by $480. Tax Day is around the corner and time is of the essence when it comes to preparing your 2018 tax return. See what retirees can expect from the new tax law changes and how your tax return strategy may be different this year. In late 2017, Congress passed a massive tax overhaul to take effect for 2018 taxes and while change brings uncertainty, the good news is that seniors may benefit from the new Trump tax plan. Many seniors have fewer expenses to itemize, if any, as they don’t have dependents or a mortgage. In this situation, families choose the standard deduction. The new tax plan doubles the standard deduction, meaning the majority of retirees will greatly benefit as the standard deduction is more valuable. Also, the standard deduction is generally easier and less costly if you’re getting your taxes professionally done, depending on your family’s unique situation. An expert certified public accountant (CPA) or financial advisor can help you decide what may make the most sense for you. 2. Increased deduction for medical expenses. Healthcare is a big expense for retirees and under the new tax laws, you’re allowed to deduct medical expenses that exceed 7.5% of your adjusted gross income (AGI). This means if your AGI is $60,000 and you spend $16,000 of it on healthcare, you’ll have an $11,500 deduction on your hands, which could be enough to make itemizing worth it when it comes to taxes. When the average 65-year-old couple today is expected to spend $400,000 on medical costs in retirement, this can be substantial savings. 3. IRA charitable distribution as law. The new laws lowered tax rates for filers in almost every income category, which can be a big benefit for seniors and their families – especially those subject to required minimum distributions (RMDs). You’re required to start taking withdrawals once you turn 70 and 1/2, when you hold funds in a traditional IRA or 401k as those withdrawals are taxed as ordinary income. However, with the new tax brackets being a bit more favorable across the board, retirees may not lose quite as much of their savings to taxes with their RMDs. 4. Lower income tax rates. Social Security benefits are a key source of income for many retirees and for many, a portion of this income is taxable. The new tax rules lowered most of the marginal income tax rates so that more income is included in the lower tax brackets. This means many seniors can benefit from a lower taxable income. For example, the 15% tax rate dropped to 12% and the 25% tax rate dropped to 22%. It’s important to note that the new Trump tax plan did not change the amount of Social Security included in taxable income. Don’t wait until the last minute to file your, a parent’s or senior loved one’s taxes. Filing early can help give you peace of mind and time to make sure you are informed about the new tax laws. An expert CPA or financial advisor can help you strategize what makes the most sense for your family under the new tax plan. Unfortunately, both of these misconceptions could cost you big money in expenses, medical bills and prescriptions because you lack adequate coverage, even if you’re enrolled in Medicare. Are you up to speed on what Medicare covers, additional insurance you might need and under which circumstances Medicare pays — or won’t pay — for in-home care? If not, don’t wait to learn about Medicare coverage during a medical crisis. The average U.S. national median cost for long-term care is around $50,000 annually for a home health aide, $48,000 for an assisted living community and $89,000 for a skilled nursing semi-private room, according to the Genworth 2018 Cost of Care Survey. Many people purchase long-term care insurance to cover long-term care expenses. Others think they can rely on Medicare for long-term health needs. However, that incorrect assumption can be a costly mistake. 1. Medicare covers all health expenses. You probably need more than Medicare Part A, which is free for most people at age 65 if they or a spouse paid into Medicare long enough while working. Did you know, however, that there are four parts to this federal health insurance, and they’re not all premium-free? Part A, which is free for most people, offers basic hospital coverage with a deductible of 1,364 (2019 cost) per benefit period for inpatient care in hospice, a hospital or skilled nursing residence. Part A also pays for home health services but only under specific conditions. Part B has a standard premium of $135 (2019 cost) a month and offers medical insurance for medically necessary services such as ambulance services, doctors, some medical equipment and outpatient procedures. Part B also covers preventative services like annual checkups, certain screenings and lab tests. The deductible for Part B is $185 (2019 cost) per year. After you meet your deductible, Medicare pays 80% of the Medicare-approved amount, and you must pay 20%. Part C (Advantage) combines Parts A, B and sometimes D into one plan offered by private insurance companies that charge their own premium rates. Part D is optional and offers coverage for prescription costs not covered by Parts A and B. Many people think that Medicare Part A covers nearly everything regarding a hospitalization. That’s not true, says Steven Tibbits, a Medicare insurance agent with Medicare Health Plans in Salt Lake City, Utah. 2. Medicare covers most in-home long-term services. Don’t count on Medicare when it comes to long-term in-home care, says Hyers. Medicare doesn’t cover non-medical, personal services and covers only in-home care ordered by a doctor such as skilled care from a nurse, occupational therapist, physical therapist, speech therapist or social worker. However, Medicare covers skilled in-home care ordered by a doctor for up to only 21 days. Medicare typically pays 100% of the approved amount for covered in-home skilled nursing and therapy services and 80% of the approved amount for covered medical equipment. 3. Medicare will pay all my residential skilled nursing costs. Not so. Medicare pays the first 20 days at a skilled nursing residence with zero copays in 2019. For days 21-100, Medicare pays a portion, and the beneficiary is responsible for the leftover amount of $170.50 per day. However, you can purchase a Medigap insurance policy through a private insurance broker to cover that difference. Don’t wait until you need a Medigap policy, though. 4. I don’t need long-term care insurance because I have (or will have) Medicare. Many people believe that long-term care is always covered by Medicare with just a daily copay. However, “Long-term care is not a covered benefit by Medicare,” says Tibbits. “Long-term insurance plans can be incredibly expensive but can also be very useful.” Read more about long-term care insurance here. Reprinted from A Place for Mom. The IRS said Monday it will begin processing tax returns on Jan. 28 and pay refunds as scheduled, despite a partial government shutdown now in its third week. As your parents age, you will likely experience a subtle yet significant change in the dynamics of your family and relationship. Stepping into the role of caregiver for your senior loved one may not be what you had envisioned when you were younger, however, for many adult children, this shift in the parent-child relationship is part of their reality. The role of a caregiver can look very different depending on the needs of your loved one, but acting as an advocate is often a primary responsibility. Read more about how to become a better advocate for your parent during this time. The role of caregiver for a parent or senior loved one can vary greatly depending on their health and needs, from accompanying them to medical appointments to providing hands-on, personal care – all while striking a balance between supporting their best interests and empowering them to remain the primary decision-maker. An area that families tend to struggle with is striking the balance between assisting a parent or senior loved one to make the best choices for themselves and taking over the decision-making process entirely. It is important to remember that although the responsibilities of giving and receiving care may have reversed, the child does not become the parent and the parent does not become the child. 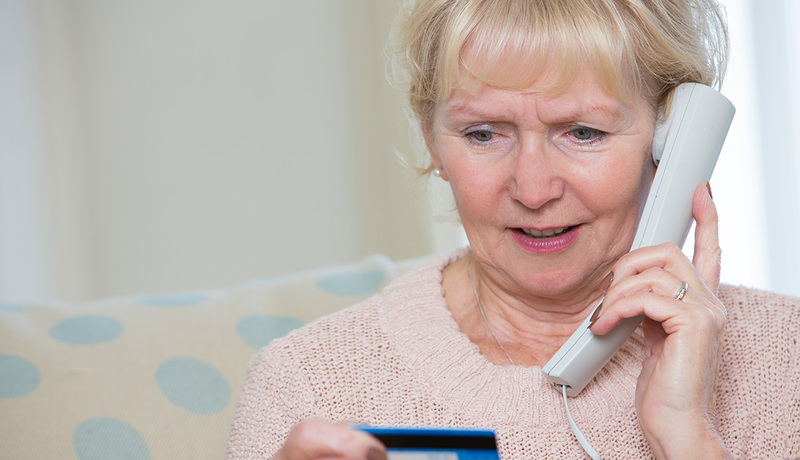 Rather, the senior parent is an adult, capable of choice, who simply needs assistance and support. Communicating with your senior loved one in a compassionate and respectful manner will set a positive tone and encourage them to be receptive of your help. Keep in mind that “listening is just as important as speaking” when communicating with a loved one and will allow you to better understand their desires, feelings and thoughts. If you live at a distance from your senior loved one, you can still be an informed and supportive advocate. Set a specific time each day or week to check in with your parent or senior loved one to ensure that they are being well cared for and that nothing significant has changed with their health. Keeping conversations enjoyable and light will allow you to garner key information about how they are doing and feeling, without coming across as an interrogation. Try to have two plans in place: one for day-to-day matters, such as medication management and meal preparation and another in case of an emergency. An emergency action plan should outline important details about who will be the first to respond in the event of an emergency, as well as important medical wishes. 3. Know where to access important information. PBS suggests keeping a “care notebook” that contains your parent or senior loved one’s important health information in a central location. Hard copies (or information on where to locate originals) of contact information, financial records and personal documents are important items to consider including in this notebook. 4. Learn what help is available. PBS also suggests educating yourself on the care and services that are available to your loved one in their specific area. This can include home support, nutritious meal programs, transportation assistance or volunteer services – to name a few options. Communicating with the people who make up your parent or senior loved ones’ circle of care is the most important aspect of staying connected and being informed of their health status when you live at a distance. Connecting with local family members and friends, formal caregivers and neighbors regularly will allow you to hear multiple perspectives about your loved one’s overall well-being. Advocating for your loved one does not need to be an additional burden or responsibility if you follow the above steps.